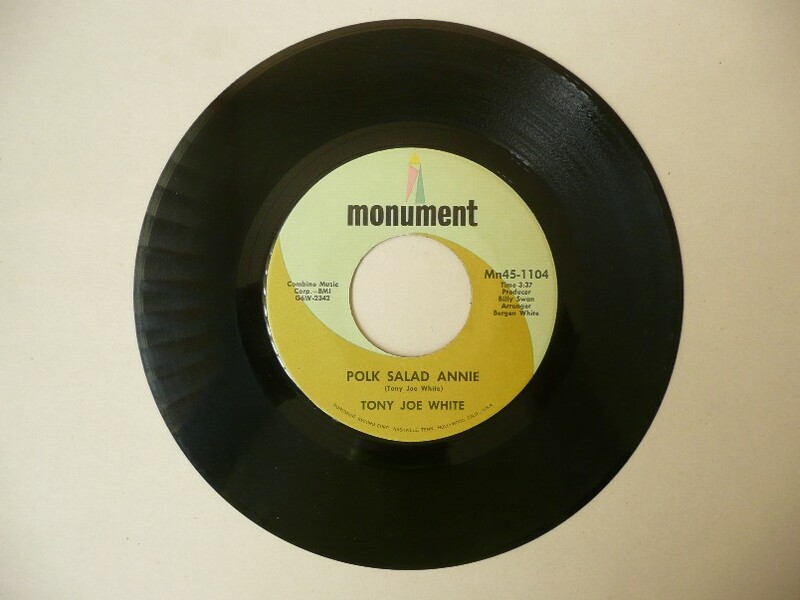 Tony Joe White rcorded his own number on Monument in December 1968 and reached number 8 in the US Hot 100 the following year. When interviewed in 2002 for the excellent "Elvis The Man and His Music" magazine, Tony Joe said that he based Annie on someone he knew! Readers of a cullinary bent might be interested to learn that "polk salad" is a corruption of "poke sallet" (or is it the other way round? )—cooked with the green shoots of pokeweed, gathered by rural people in the spring. looks somethin' like a turnip green. Everybody calls it Polk salad. Polk salad.